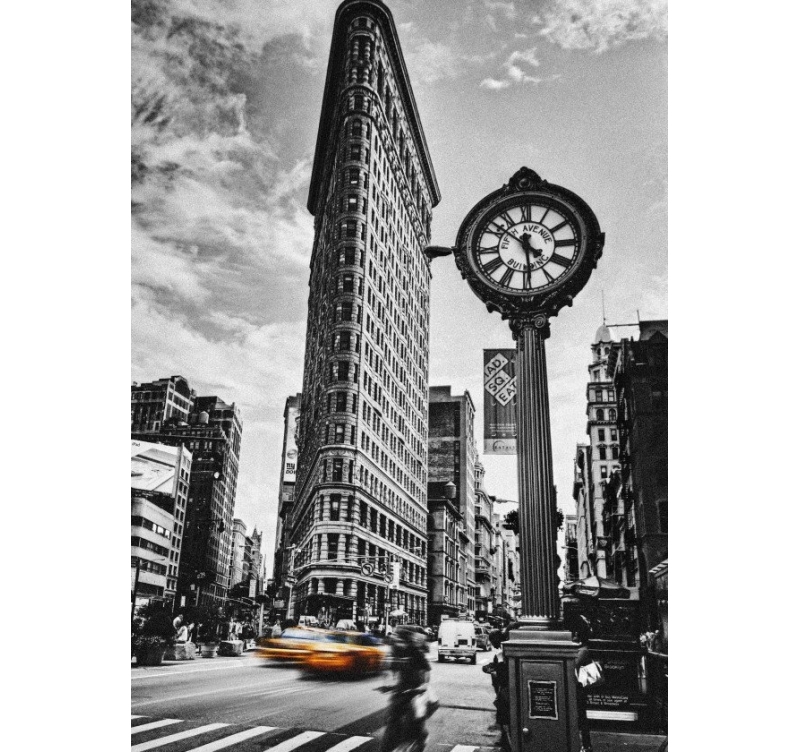 Almost as famous as the Empire State Building, Flatiron Building takes its name from its iron form. The artist has not forgotten, on the metal poster, to highlight the famous yellow taxis that run through the city. 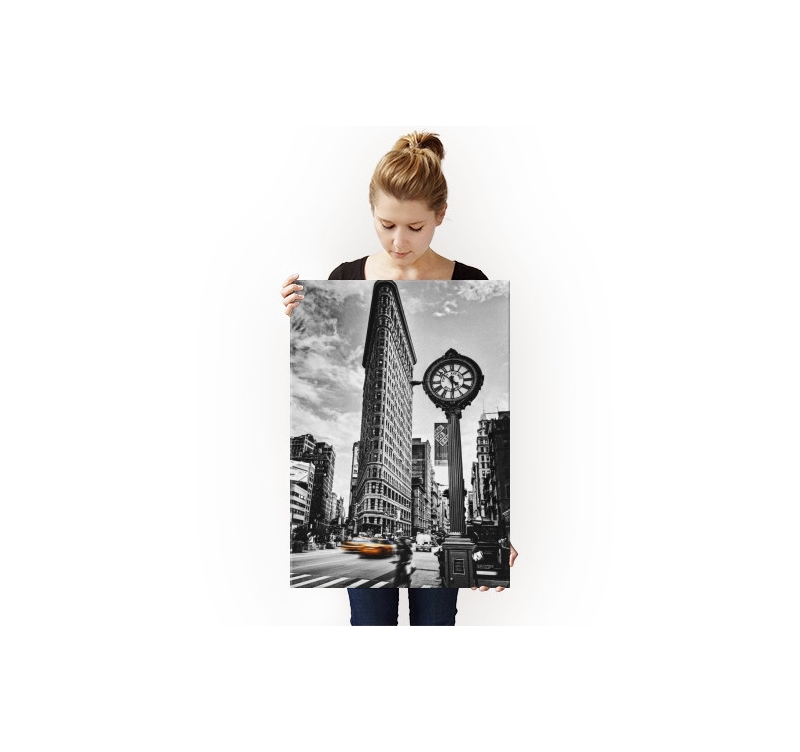 Completely free delivery in Metropolitan France and Belgium for this Flatiron building metal wall poster. The Flatiron Building is located at the corner of 5th Avenue and 23rd Street in Manhattan, in the heart of New York City. It is simply to follow the topography of the streets that the architect Daniel Burnham gave the shape of iron to his building. 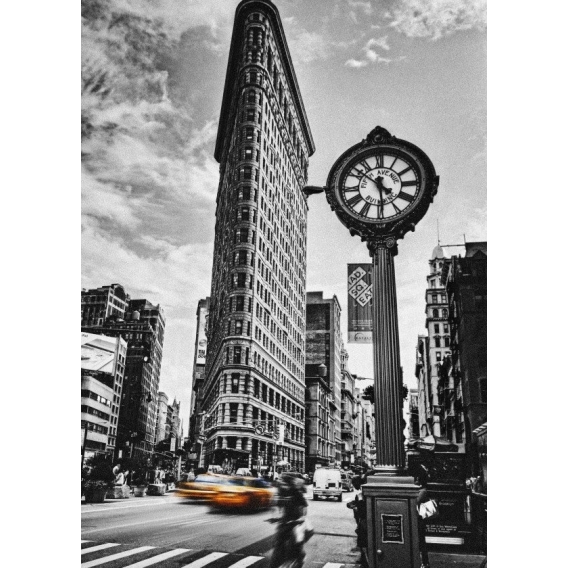 It was built in 1902, and depending on the angle of the shot, the Flatiron building seems almost flat. 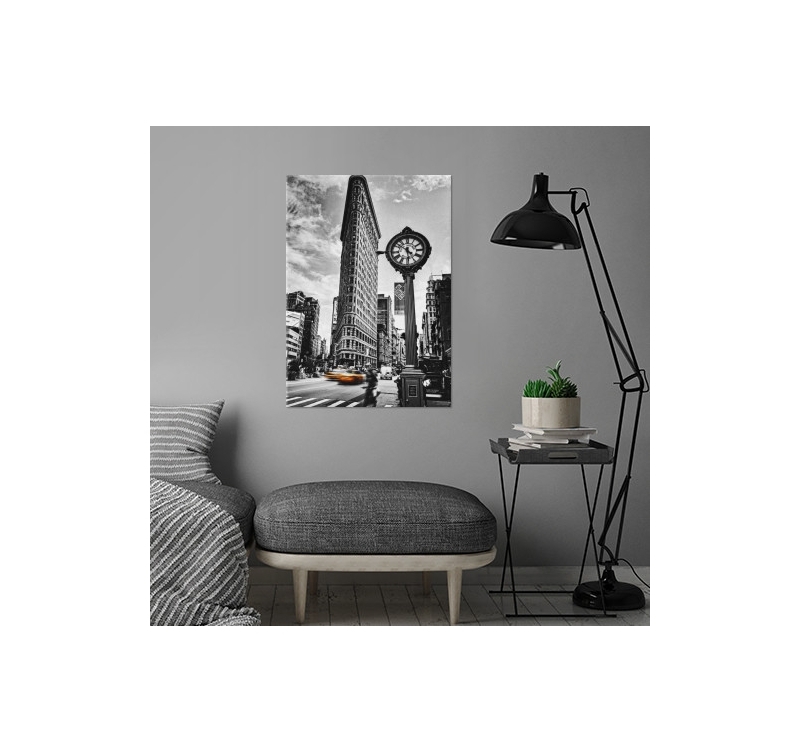 For this black and white metal poster, Australian photographer Andrew Paranavitana has reserved the color for the two New York taxis that pass in front of the famous building. 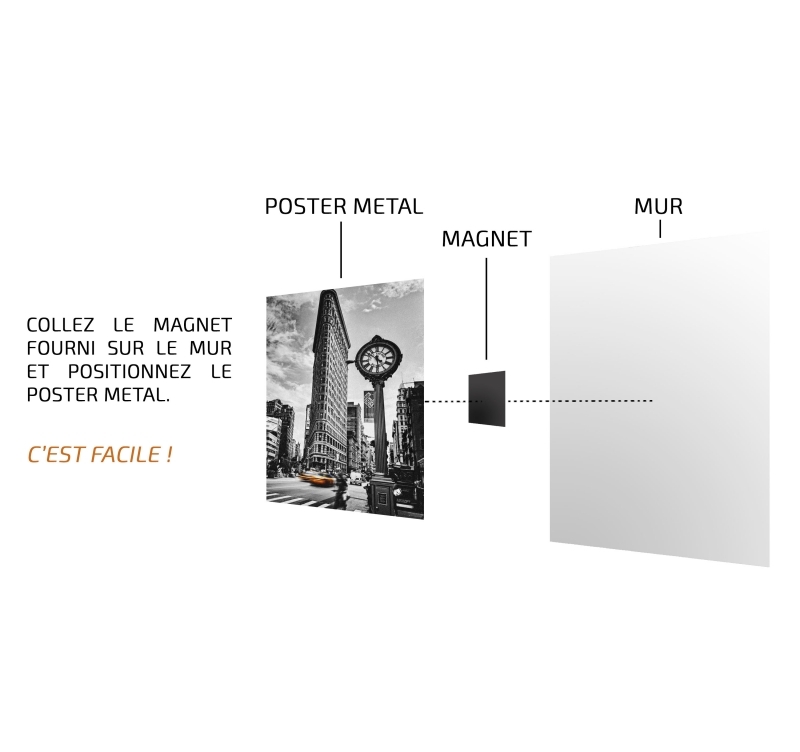 We provide you, to hang the metal poster, a magnetic hanging system. 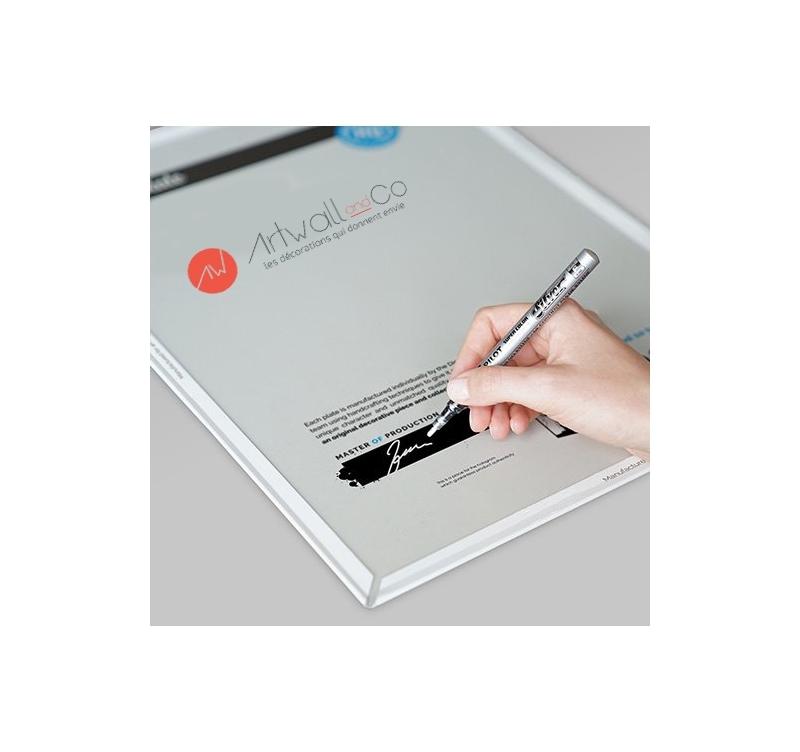 A few seconds are enough to stick it to the wall, without the need to drill, so that the metal poster seems to stay in place as if by magic.